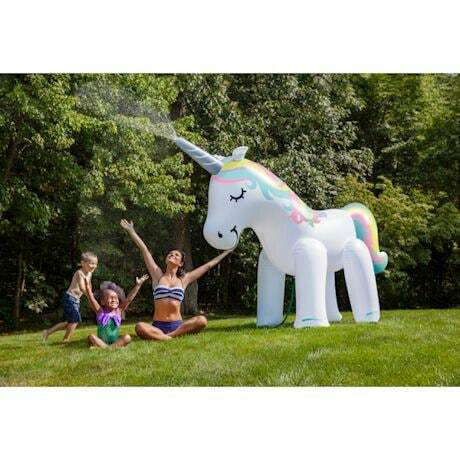 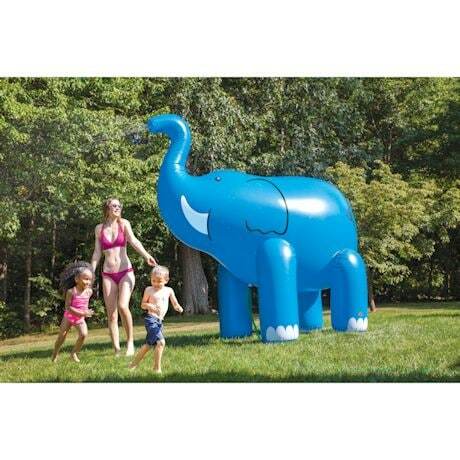 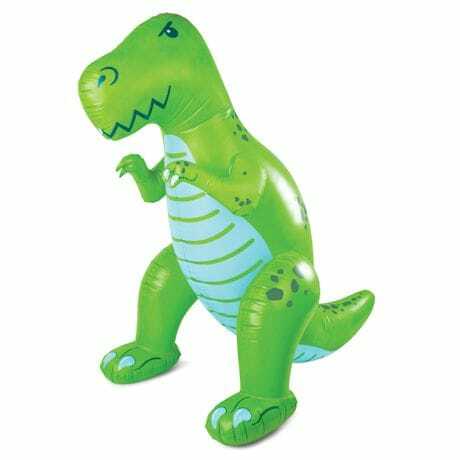 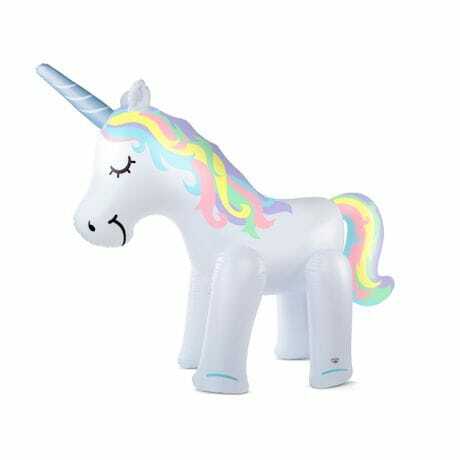 Standing over six feet tall, this sprinkler pours on the fun-even for really tall kids-at-heart. 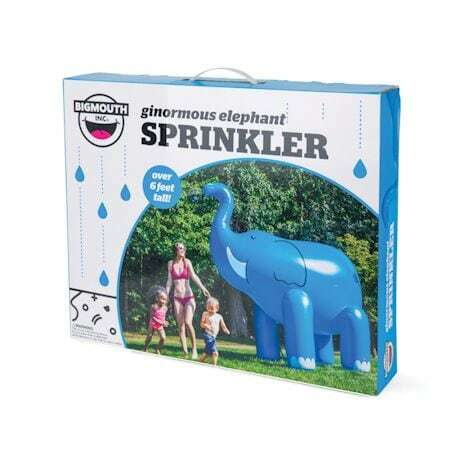 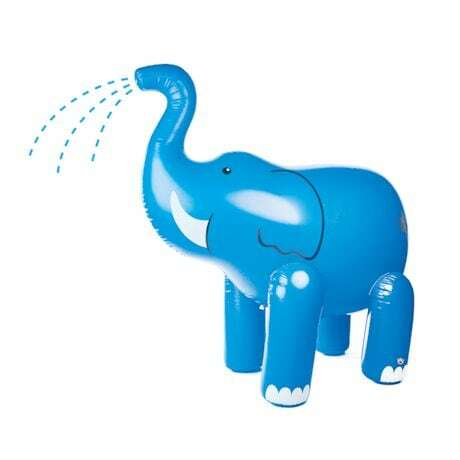 Blow up the sprinkler, attach a standard garden hose, and do like the elephants do, enjoying a cool blast of water from an upraised trunk. 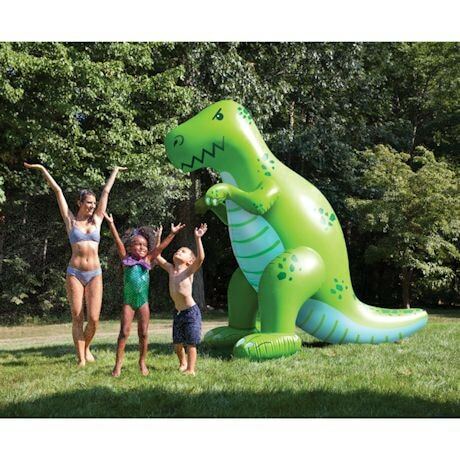 Made of rugged vinyl; 6 feet tall.